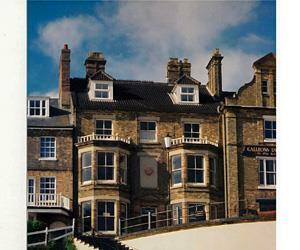 Cambridge House01263 512085work Guest AccommodationEnviably positioned homely guest house, uninterrupted panoramic views of sea, beach and pier. Spacious sea view bedrooms, mostly en-suite. Courtesy trays. Guest lounge. Choice of delicious breakfast, homemade marmalade. Separate tables. Access at all times. Families welcome. Private parking. 3rd floor room. No single room supplement. Can be used as a family suite with room 12. TV. Hospitality Tray. Clock radio. Shared bathroom facilities with room 12. 2nd floor. TV. Hospitality tray. Clock radio. No single supplement. 2nd floor. Child's bed or cot available. TV. Hospitality tray. Clock radio. Reductions for children. Sea view room. Enviably positioned homely guest house, uninterrupted panoramic views of sea, beach and pier. Spacious sea view bedrooms, mostly en-suite. Into town centre. Turn left past the church into Brook Street to bottom of road. Turn right to seafront. Steps down to the promenade in front of house. 7 minute walk from railway station.